Nowhere Fast, a new six part comedy series for RTÉ2, is the brain child of stand-up comedian Alison Spittle. The show is a comedy about life in small town Ireland as seen from the perspective of the returning millennial. Nowhere Fast is a comedy about women in rural Ireland, and one woman in particular. Fresh from a disaster in her media career in the big smoke, Angela (played by Alison) returns to her family home to lick her wounds and plan her next move. Can she escape the quicksand of small town Ireland and get her life back on track? And in the meantime can she keep her friends and family happy so she can get lifts? 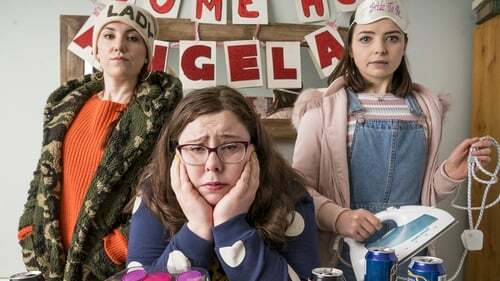 Starring alongside Spittle are Clare Monnelly (Moone Boy), Genevieve Hulme Beaman (Pondling) as Angela’s best friends Mary and Brid, with Angela’s family being played by a stellar cast including Cathy Belton and Mark Doherty. The series is written by Spittle and Simon Mulholland, with additional writing by Cian McGarrigle and directed by International Emmy and BAFTA nominated director Simon Gibney. After being fired, Angela moves back to the small town in which she grew up. This is her chance to reassess things and get her life back on track, if her friends don’t ruin everything. Angela is tired of sleeping on couches. And it’s getting increasingly difficult to believe that making tea for Dane Bowers for no money constitutes a career in journalism. She heads home to be mammied for a while, to lick her wounds and reassess her plans.